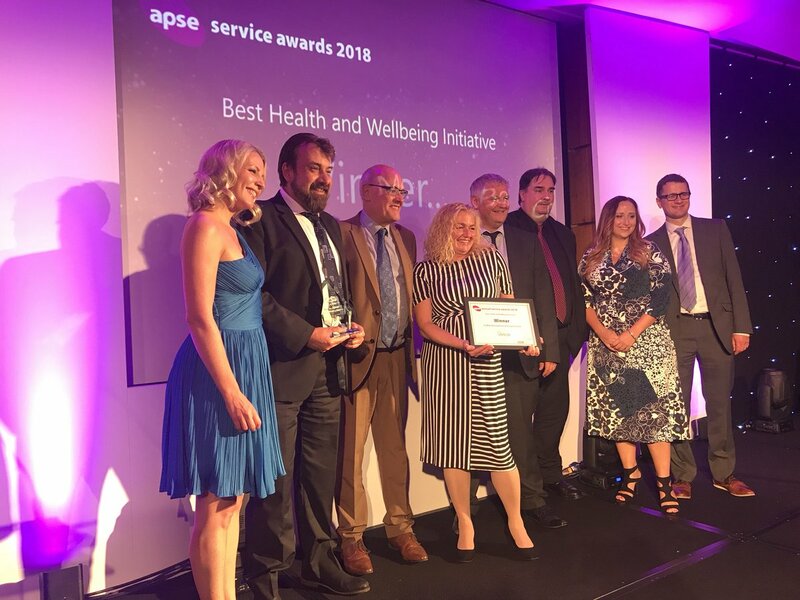 In September 2018 the sites we developed for Dudley MBC at Margaret Vine Court and Holloway Court were nominated and won a prestigious Apse Service Award for Best Health and Wellbeing initiative. This is a well-earned award for a complex scheme of refurbishment and new build in two care homes in Halesowen. The care homes remained occupied by elderly and vulnerable tenants during the 2 year programme. The designs by Architect Steve Faizey were also praised by Paul, and both Steve and Jessup General Manager Peter Butler attended the award ceremony in Edinburgh to support Dudley MBC.